I started my skiing career on the heady heights of a dry-slope in Glasgow which is where I also started my ski teaching career too. I learned to ski there as a child before progressing onto race training for many years. Whilst studying at The University of Glasgow I started teaching skiing at the dry-slope and quickly became heavily involved in coaching the very successful race club there. 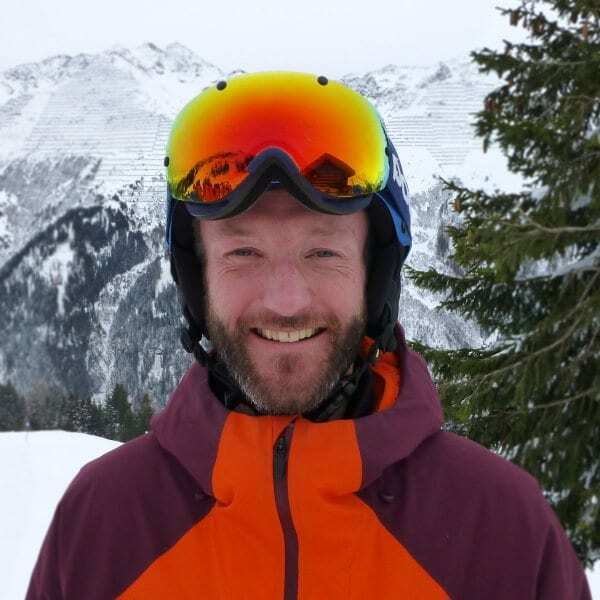 My success as a coach with Glasgow Ski Racing led to me gaining experience coaching with the Scottish and English national ski teams as well as the British Junior Men’s Team. In my 12 years of ski teaching and coaching, I have experienced many fantastic ski areas from the plastic slopes of Glasgow and the wind blasted delights of the Scottish ski areas to the many alpine resorts in Austria, Italy, Switzerland, and France as well as the South Island of New Zealand. Variety is the spice of life so I enjoy working with any age, level or type of skier but I particularly like working with young racers and advanced skiers looking to increase their ability to allow them to experience more of the mountain. Breathe, not only is this an essential life skill but it can help you relax and give your movements a natural rhythm. Oh, and never tie your shoelaces in a revolving door!